I was incredibly surprised with the amount of moisture in this banana bread, the golden crunchy outside and how it didn’t taste grainy on the inside! You don’t even have to click on the picture to the right to see the moisture oozing from this bread. 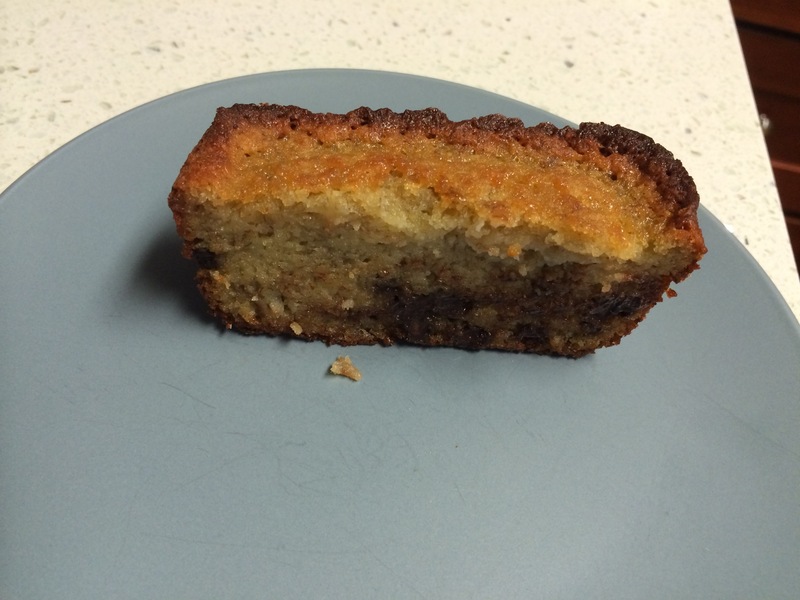 This is a great banana bread even if you aren’t gluten free. I had to slice this bread and put it in the freezer asap because I had already eaten 3 pieces of it and it should be savored. 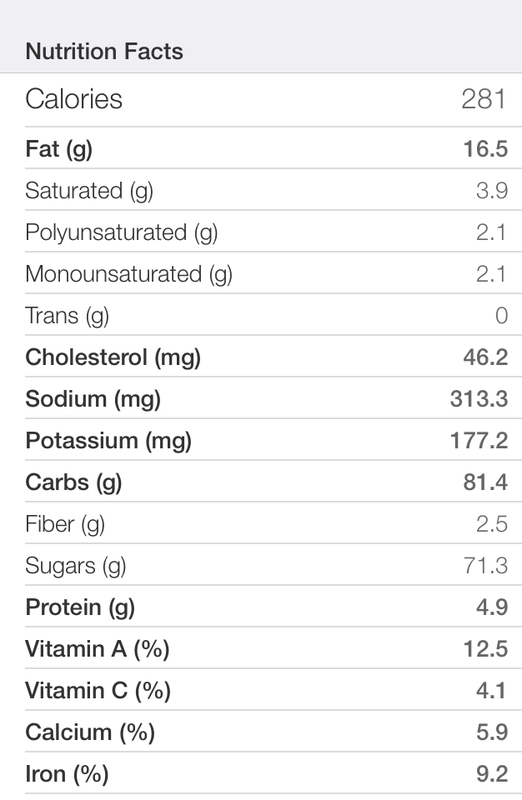 The amount of banana in this recipe may be reduced to 12oz or about 4 medium bananas. Nuts and dried fruit are optional, feel free to mix in your favorites. Preheat oven to 350 and lightly spray two loaf pans. Sift flours, baking powder and salt in a medium bowl. In a large bowl, beat the butter, sugar and bananas together until smooth. Briefly stir in the eggs to the banana mixture. Pour the flour mixture into the banana mixture until blended. You will see lumps of butter if your butter was cold. Pour into loaf pans and bake for 60 minutes or until a skewer comes out clean and the cake is just firm. If you have a glass or dark metal loaf pan, you may want to keep an eye on the loaf and put tin foil over it if the edges start to brown early. Cool for 10 minutes before serving or once completely cool, slice and freeze for up to a month. Categories: Baked Goods, Breakfast, Dessert | Tags: Allergy Friendly, Dairy Free, Earth Balance, Earth Balance All Natural Spread, egg free, Gluten Free, Gluten-free diet, Go Veggie!, Nut Free, paleo, recipe, Tree Nut Free, Wheat Free | Permalink. 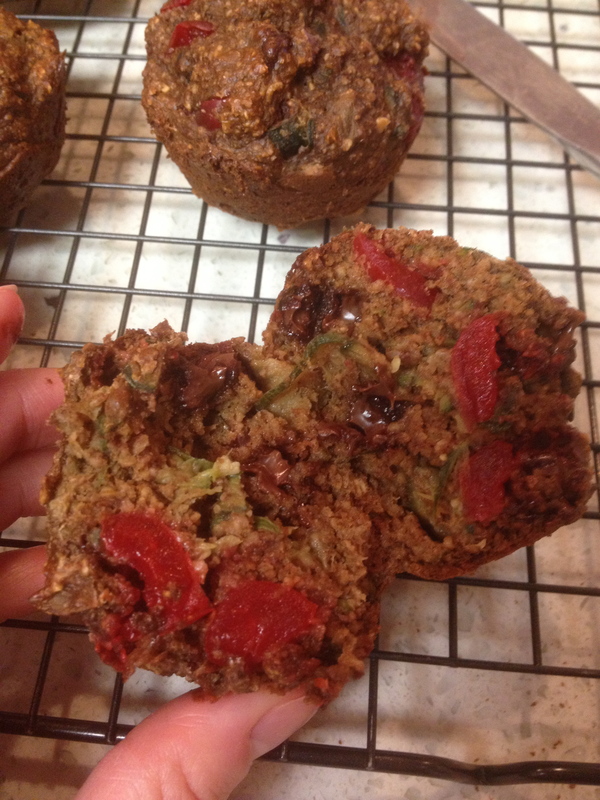 My gluten free baking adventures started with this recipe after receiving zucchini in my CSA box for over two months. The recipe has simple ingredients that you find in your everyday household. In my view recipes are meant to be changed, modified, and tinkered with to see what blossoms. In my exploration, the recipe has been modified for my own tastes and health benefit by adding cloves, whey protein and flaxseed for example. 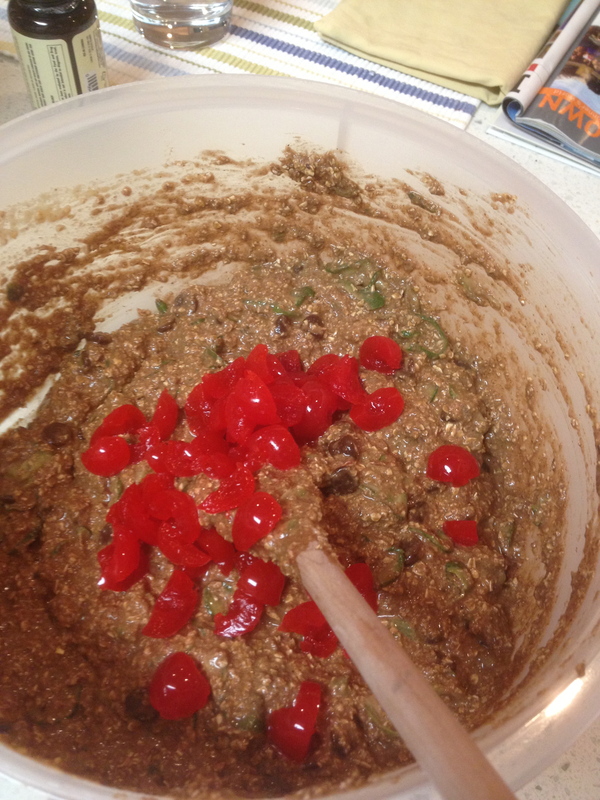 During experimentation, some left over maraschino cherries ended up in a batch because they were about to expire. Turned out having those little bursts of red and sweet surprises works well. Who doesn’t like chocolate and cherries?! The below recipe is what I’ve come up with so far. If you happen make this and want to share how you liked them or what you tinkered with, please comment. Preheat oven to 350 degrees and lightly grease two 12 count muffin pan. In a large bowl, mix the dry ingredients (ground oats, baking powder, baking soda, cinnamon, cloves, salt, baking cocoa, protein powder, flaxseed). Mix wet ingredients separately in small bowl (eggs, vanilla, applesauce, honey). Combine wet and dry until evenly blended. 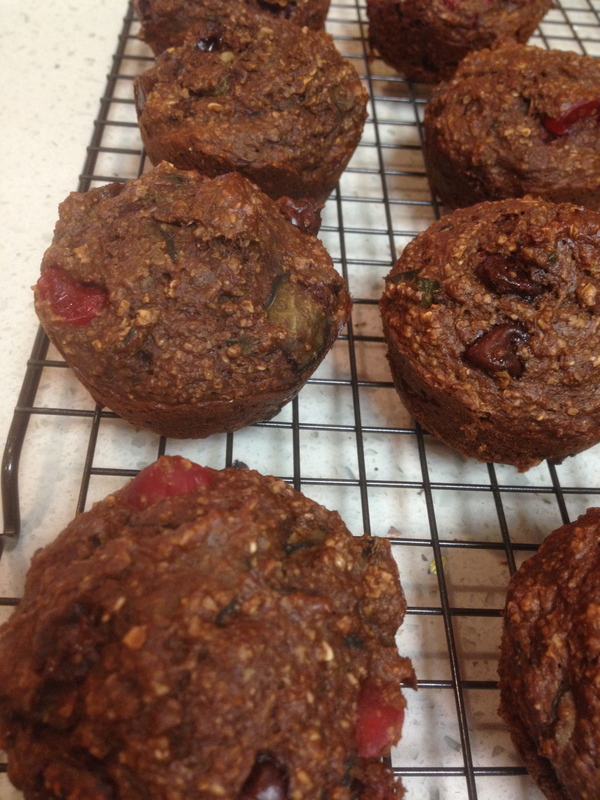 Add zucchini, cherries, chocolate chips and stir. Pour batter evenly into each muffin cavity. Bake for 17-20 minutes or until toothpick comes out clean. Remove from oven and top each with a few additional chocolate chips (optional). Store in airtight container for 2 days or freeze in a plastic bag for 1-2 months. Categories: Baked Goods, Dessert, Recipes | Tags: Dairy Free, Gluten Free | Permalink.